MG5’s, or ‘summary of evidence’, is exactly that, it should be written so that whoever is picking it up should have a clear picture of what, where, when and how it happened. It should be clearly and concisely written. If this is not being done then it is the role of a supervisor to advise the officer accordingly. You hear it all the time, but when I joined as a probationer, if there was a handover or six, you were given them all to deal with. I was often there on a Sunday morning with six prisoners to deal with while the rest of the shift were having a nice fry up. I learnt so much and doing files regularly helped immensely. I know that streamlining the process of having units who deal with prisoners in custody areas, however, I believe that an attachment for at least a month for student officers is a must. It’s like anything, practise makes perfect. But this isn’t just about case files is it? Lets look at the bigger picture. Training as a whole is not as it was and should be. Ongoing training is often done ‘on line’, with officers getting little or no time to complete it, and even when they do I have seen officers just clicking through it with no concentration or thought, as the list is so long to get through it’s a tough task; so what is the answer? 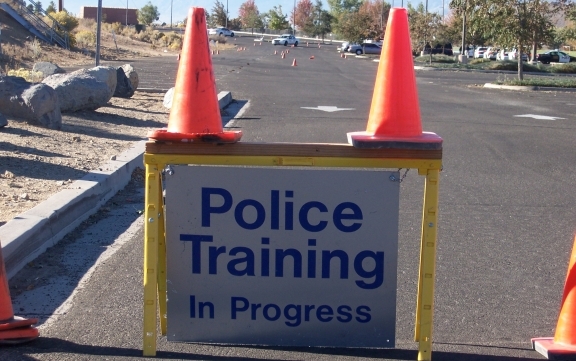 I believe that officers should be given more adequate training and should be done in a classroom environment. I know that is a logistical nightmare, and more costly, but is it ok to say that we have adequately trained officers by making them log on to a computer? If they do not perform to a high standard then the forces can say ‘we provided the training’. But have they? Don’t get me wrong, I believe that on the whole officers are highly professional and work to a high standard, but unfortunately there are those that ‘slip through the net’, which is down to training and the pressures that the supervisors are under, and a lack of staffing and time. The HMIC needs to put in to place recommendations to have adequate attachments for ‘hands on’ training, not just ‘logging on’. There also needs to be the recommendation of having time to study new legislation, either on-line or in the classroom so that every officer is trained to the same high standard. Reacting to the findings of the HMIC report, Irene Curtis, president of the Police Superintendents’ Association of England and Wales, said: “Whilst I’m pleased that the authors of this joint inspection report have called for decisive action to streamline the criminal justice process, I worry that we’ll still be here in three or four years’ time discussing similar reports without having achieved the goal we all want to see – an efficient, less bureaucratic and more victim-focused criminal justice system. We’ll wait and see shall we? ← It isn’t even about Political Correctness…. it’s just wrong. I was the same as a probationer – I show some cops now how to do files and they just say ‘that’s not how to do it in training school’. The MG5 is a case in point, the old way (and they forget its a summary) was an A4 page with the case outlined. This new national system is utter crap. I have trouble reading evidence from it, lord knows the CPS must as well. But the evidence should be on the statements, not the MG5 which is a common mistake. I would be interested to know of all those errors, how many we’re officers / staff, and exactly what the errors were ! Re: MG5’s – I’ve given up trying to assist younger team members with these. They will insist on writing 2 pages so I tell them “Imagine you’re the prosecutor who’s just rocked up at a MC near you at 09:45 with 10 files to browse. It’s got to all be in about 5 lines” but they won’t listen. Oh well. Indeed, I do feel sorry for Mags Court Hacks as they struggle to read themselves into a huge pile of cases and then spend the morning apologising to the court. Perhaps Ms Curtis might ask her colleagues to join her in some ‘on the job training’ via effective supervision of case files. But it’s not just the files, it is the quality of the investigation which sadly leaves a lot to be desired.